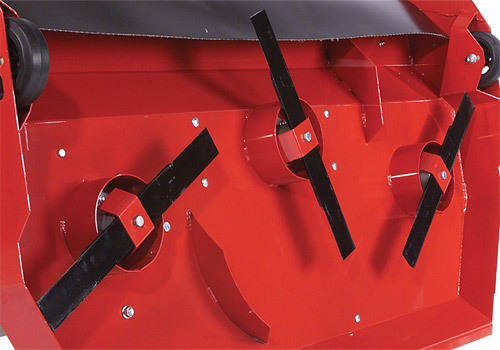 Three heavy-duty blades counter rotate to cut and deposit waste evenly without windrowing. 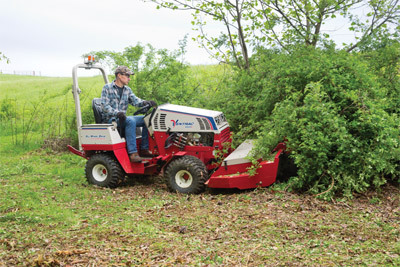 Capable of tackling saplings and large thorn bushes, the Tough Cut makes short work out of overgrown thickets. 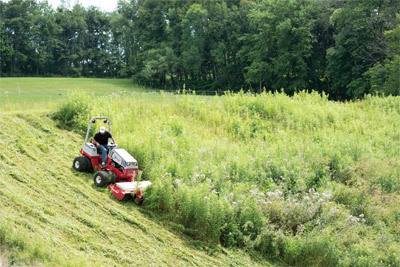 The Tough Cut can be adjusted to three cutting heights: 3, 3 5/8, and 4¼ inches. 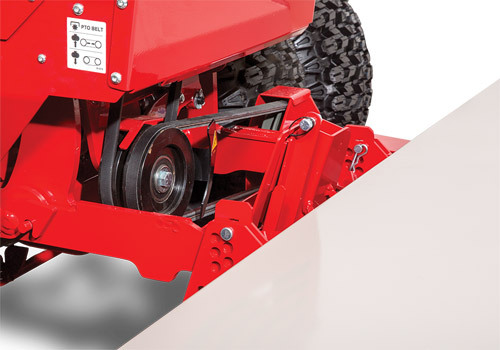 Easy servicing of belts and pulleys is provided by the hinged and removable cover. 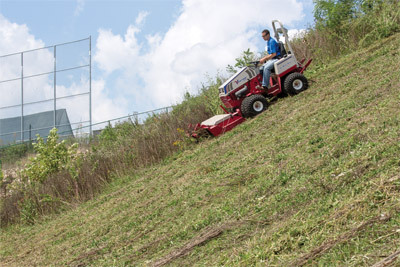 The tilt-up deck provides easy access to the blades. 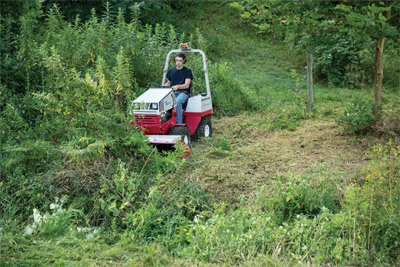 When the attachment does the work first, the tractor drives over a cleared path rather than trampling grass down before cutting. 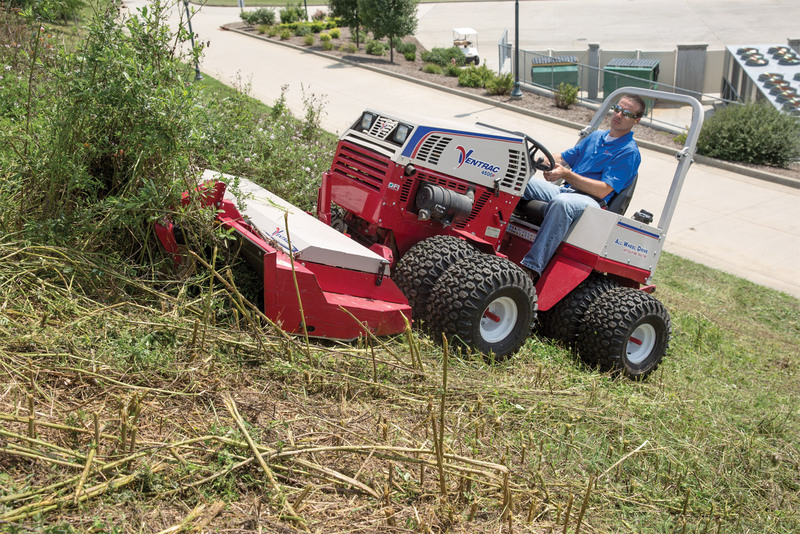 This innovative design helps reduce uneven mowing. 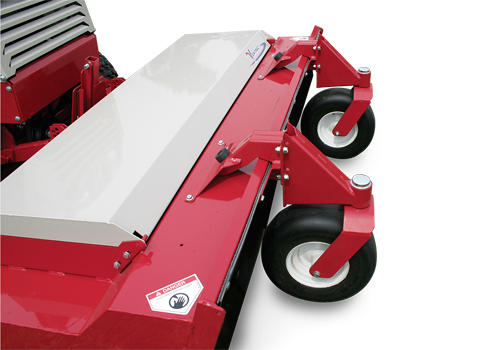 Heavy duty welded deck can handle the toughest cutting conditions and is built to last for years. 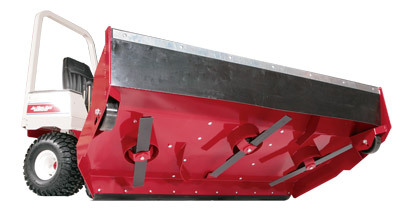 Blades spin in opposite directions providing for the better discharge of material. 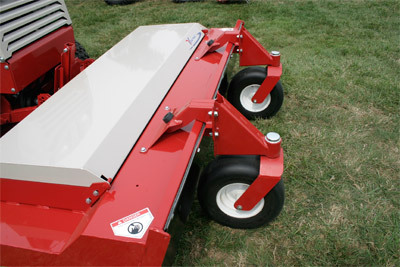 Mower blades are sharp on both sides so they can be used on right or left-hand spindles, allowing for double blade life. 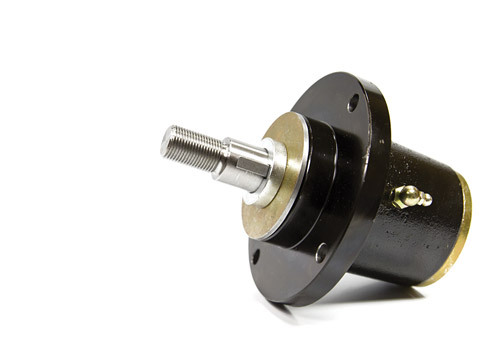 Cast iron spindle with 30mm diameter shaft and greaseable bearing. 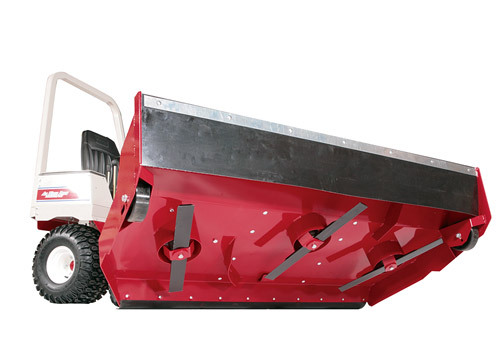 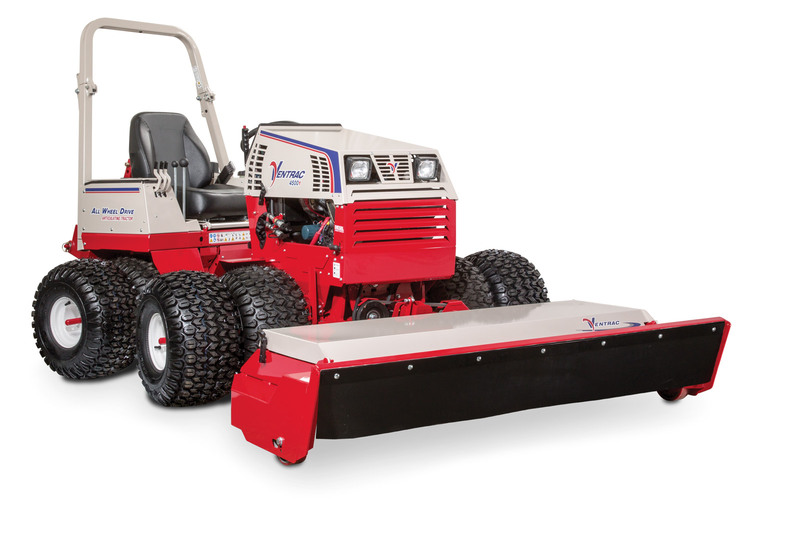 Ventrac decks are driven by a belt, not a PTO shaft. 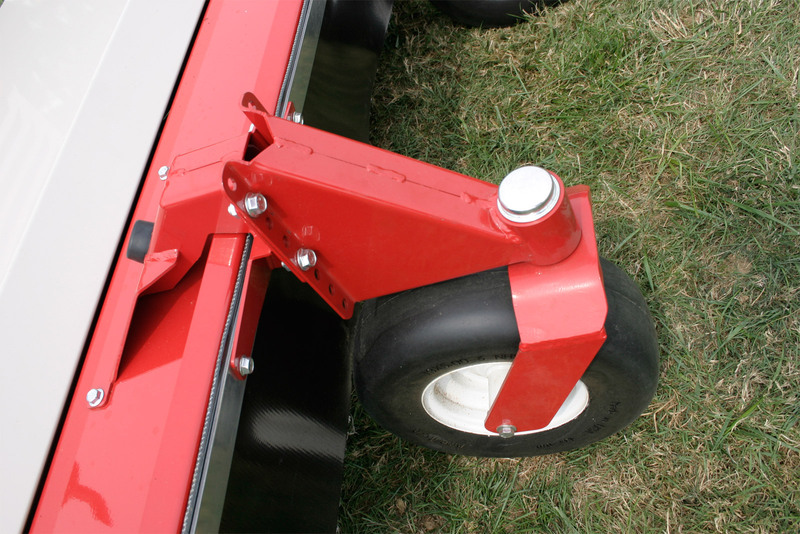 If the mower blade should get stuck on an obstacle, the PTO belt will slip rather than having a PTO shaft shear pin break. 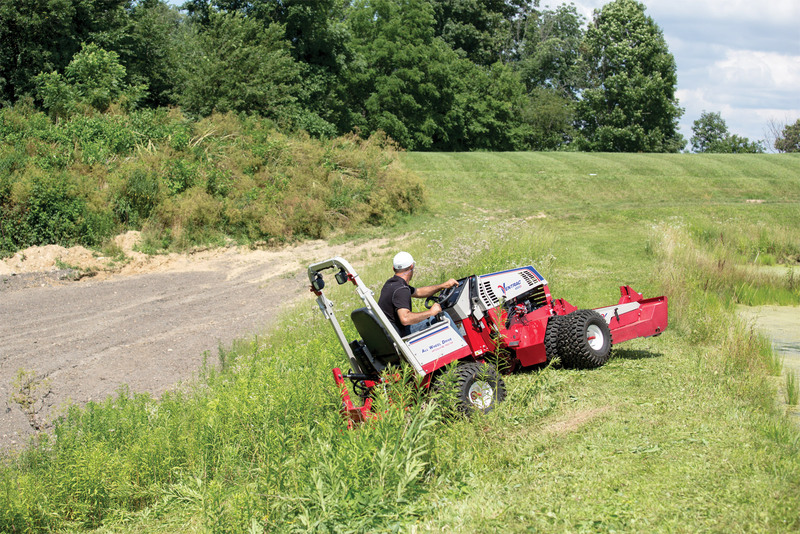 The tough cut is one of our most popular attachments with the ability to mow down thick grass, weeds, and heavy brush up to one inch in diameter. 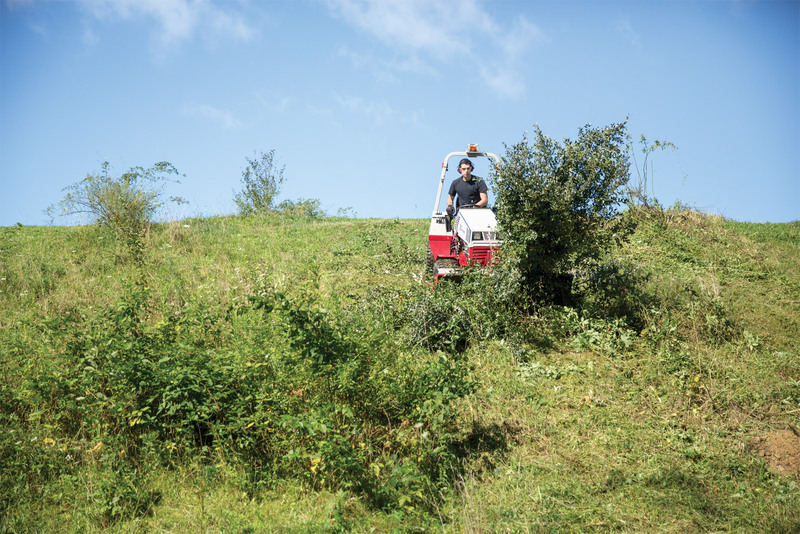 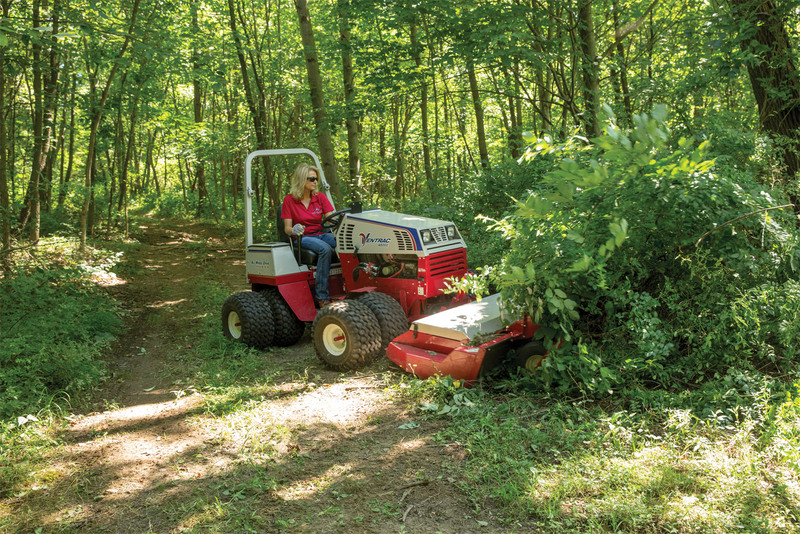 Ventrac land owner tackles the overgrown brush, briar bushes, thorns, and 6ft high weeds with a Ventrac, clearing off 30 degree slopes, and a wet creek bed and making them passable again. 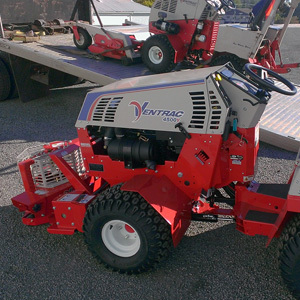 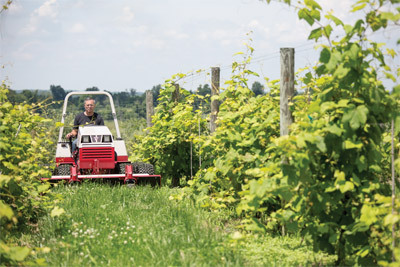 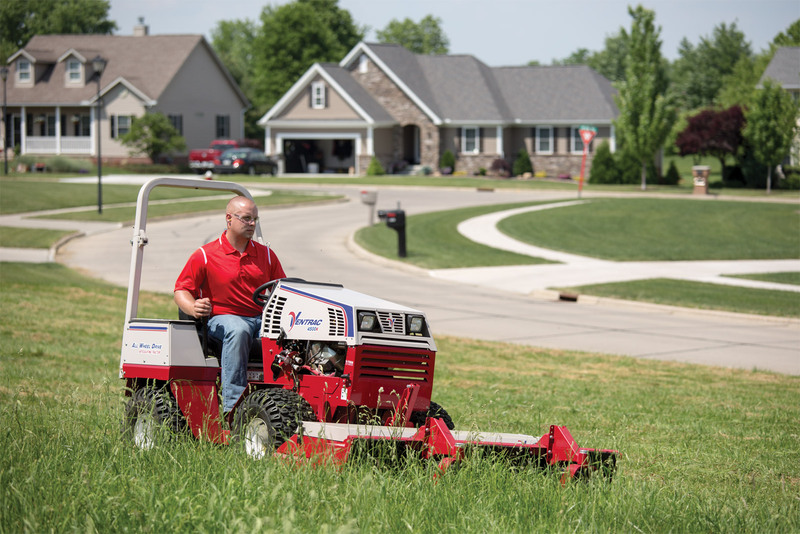 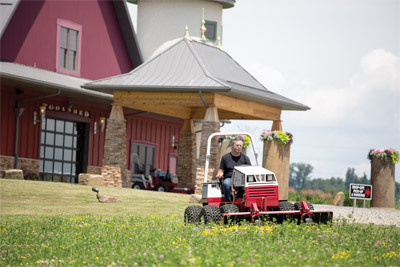 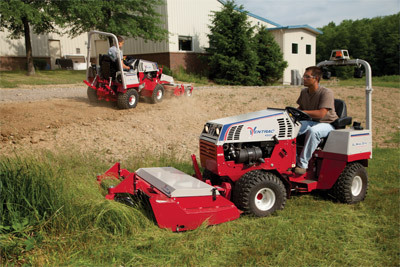 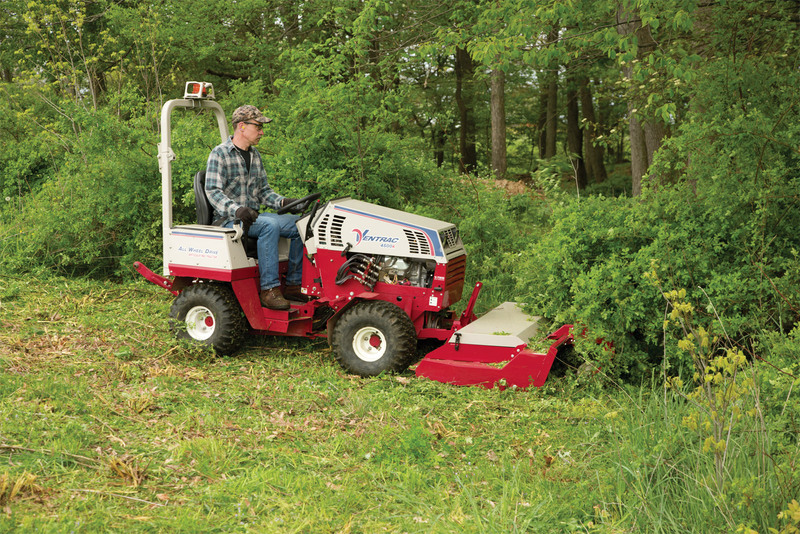 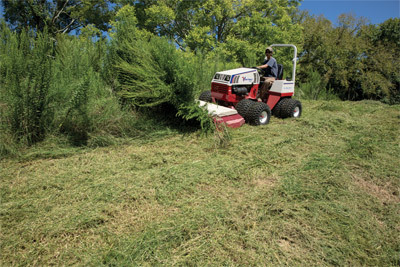 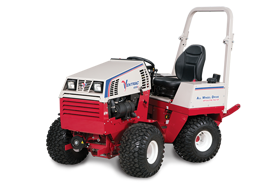 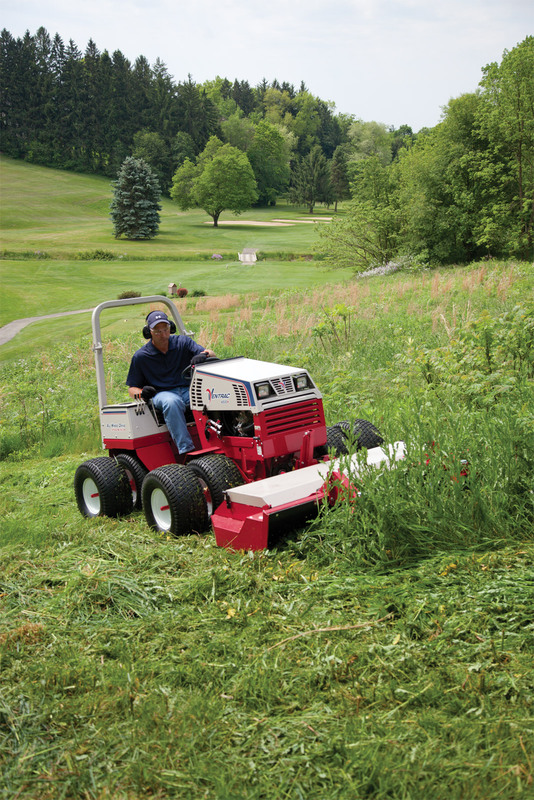 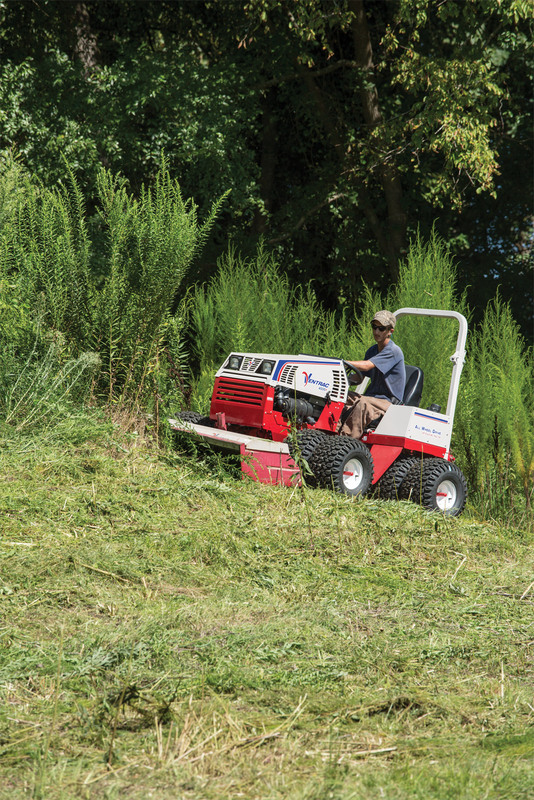 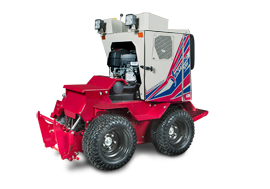 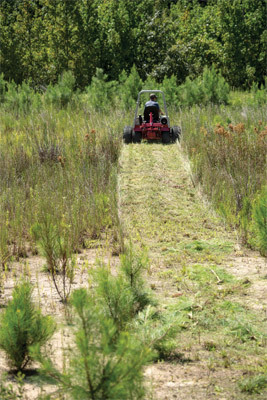 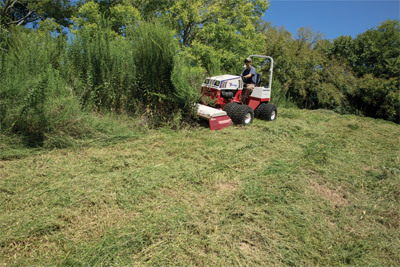 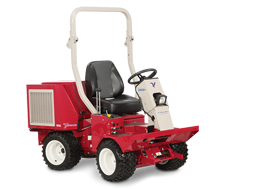 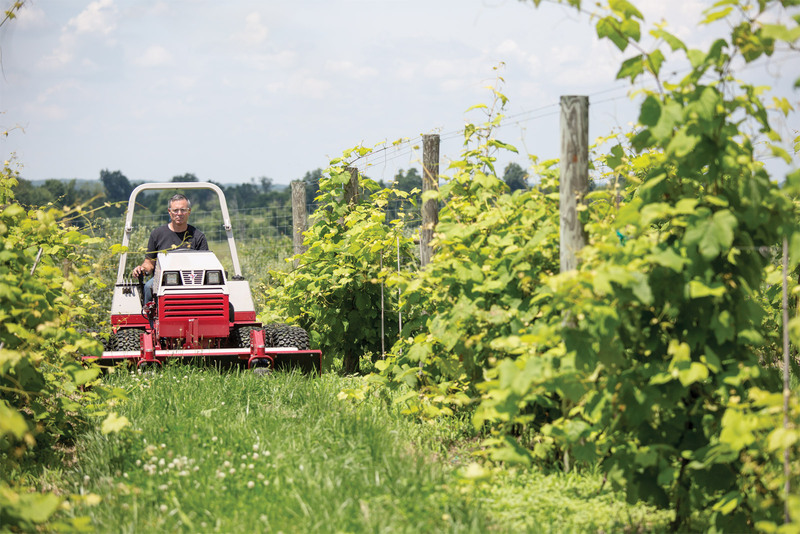 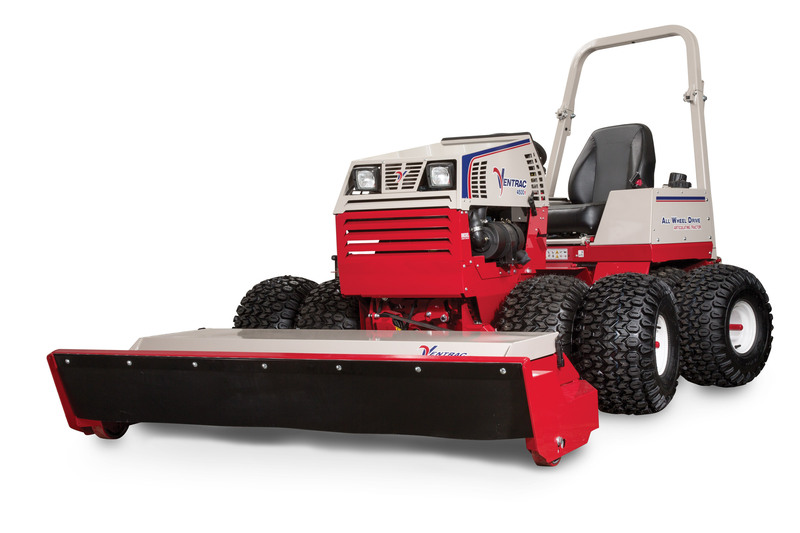 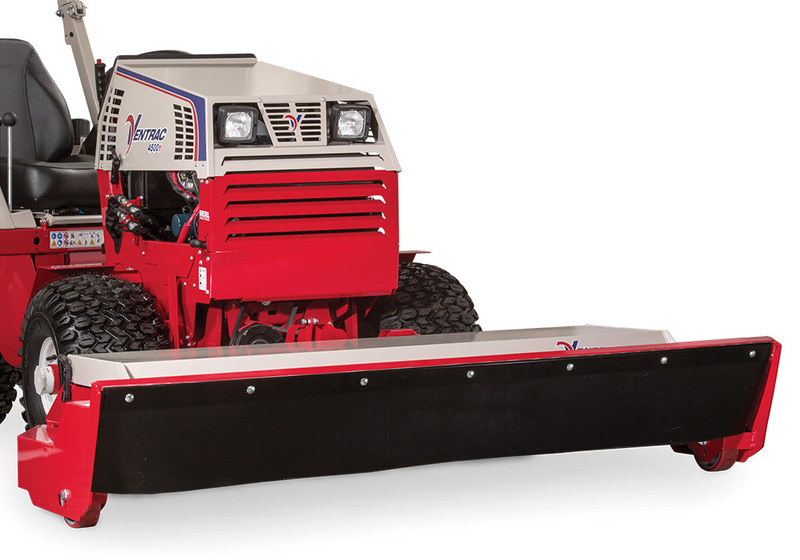 The Ventrac Tough Cut Mower deck has an industry leading design to tackle the toughest of brush mowing jobs. The Town of Apex was accustomed to large machinery which damaged turf and left a mess. Watch why compact is better for the town. 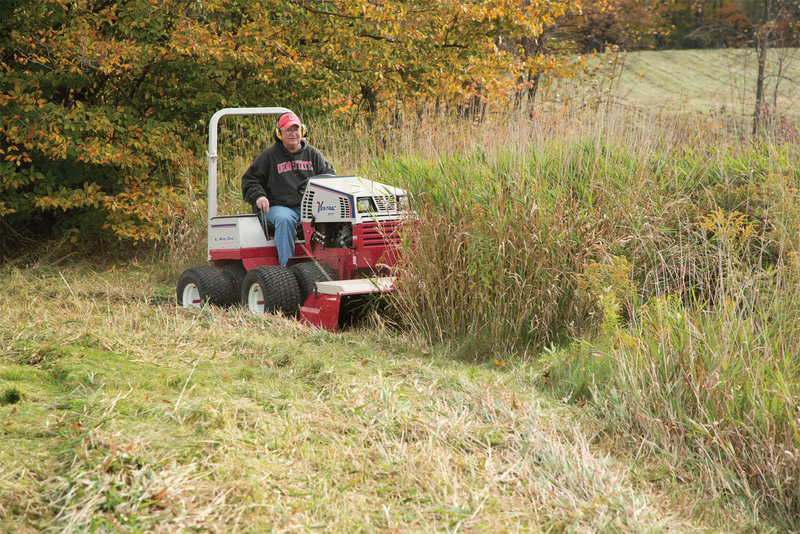 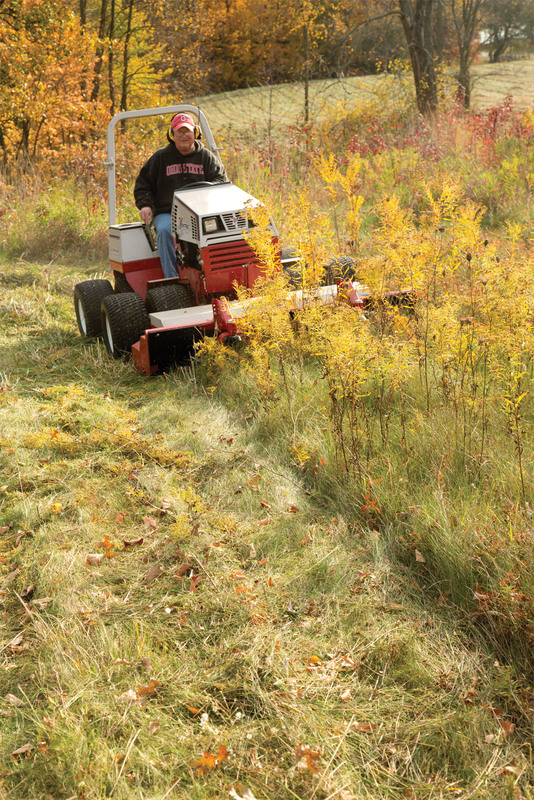 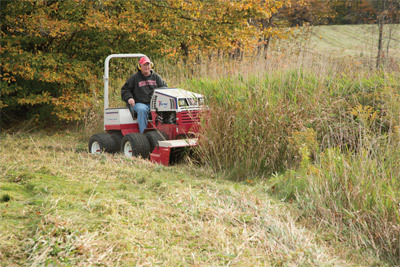 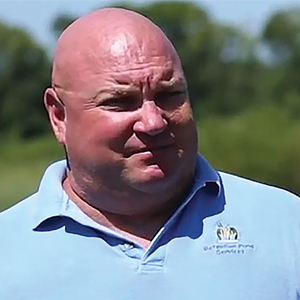 See how this golf course uses Ventrac equipment in the fall. 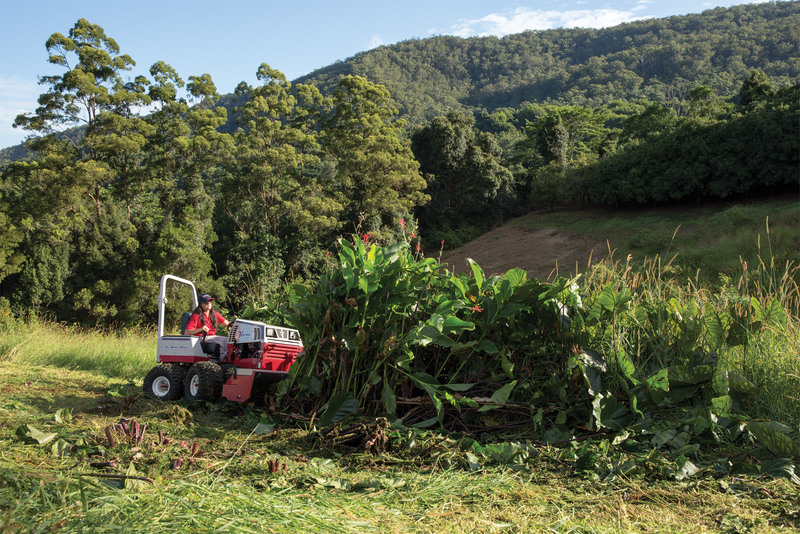 How do you bring back to life five years of neglect and overgrowth on a macadamia nut farm in the wilds of Australia? 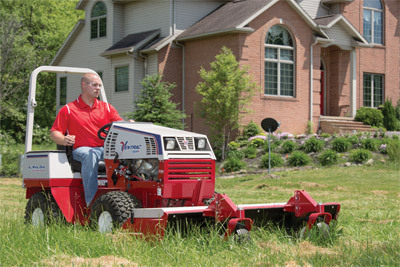 By using a Ventrac, of course! Enlarge Picture / Press Link · HQ680 Tough Cut Mower Deck Swivel Wheel - Closeup of the optional swivel wheel kit for the Tough Cut deck. Enlarge Picture / Press Link · Ventrac 4500K using Tough Cut mower - Ventrac makes it possible to go where other tractors and equipment cannot. 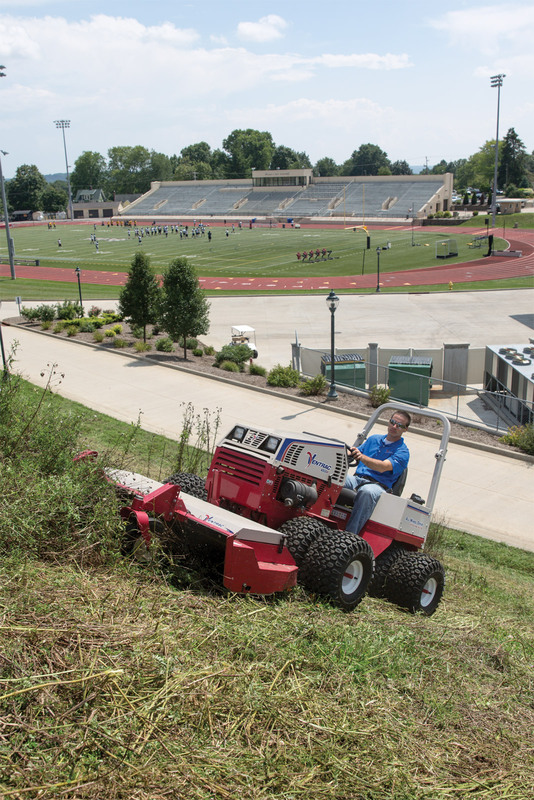 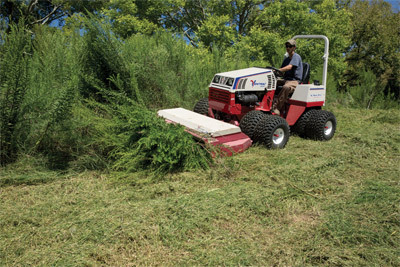 Enlarge Picture / Press Link · Ventrac Conquers Brush with Tough Cut - Create usable space out of an overgrown area faster and simpler with Ventrac. 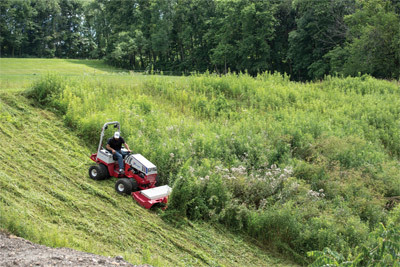 Enlarge Picture / Press Link · Ventrac 4500 Boldly Mows with HQ680 - Going where no tractor has gone before Ventrac can maneuver in places larger equipment cannot and can get to areas you could not before. 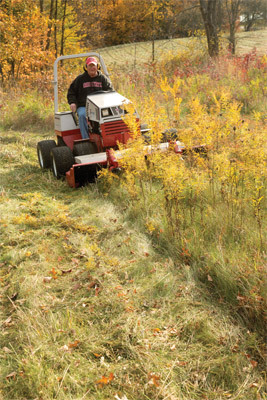 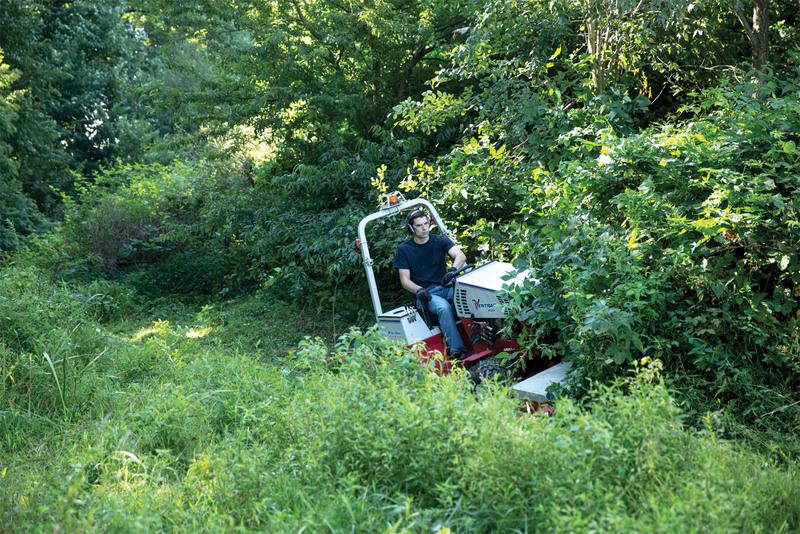 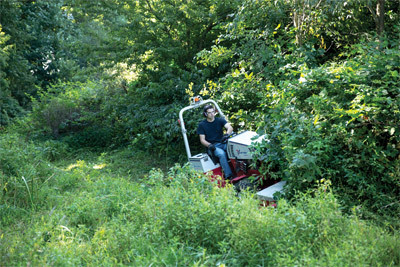 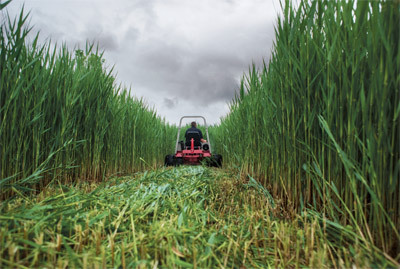 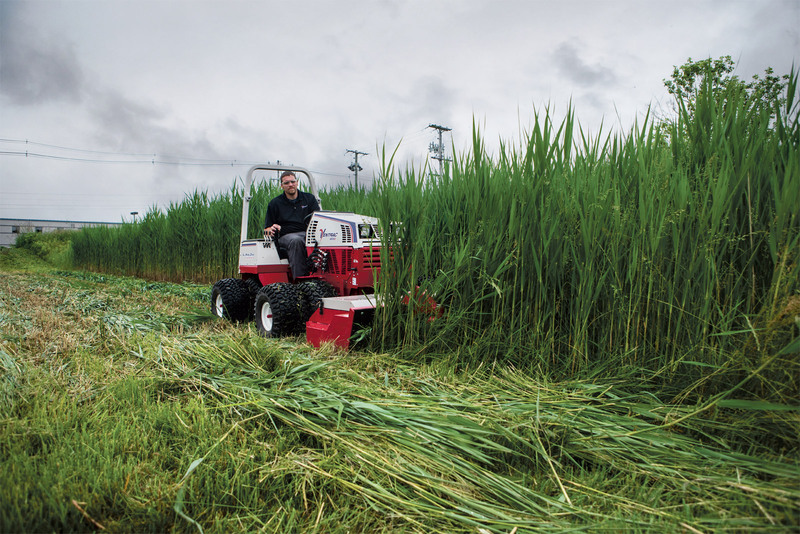 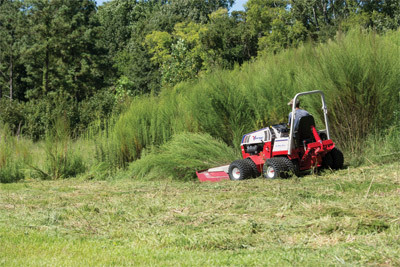 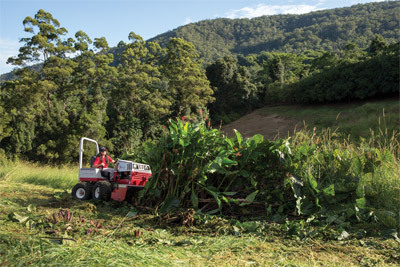 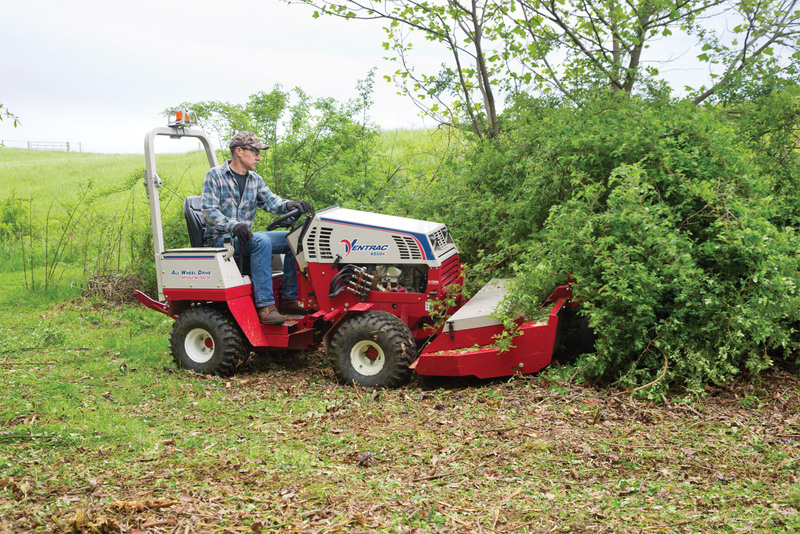 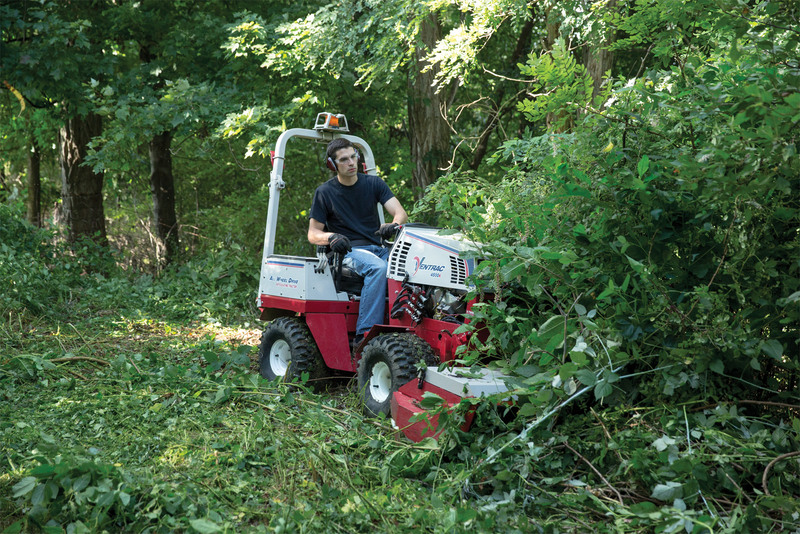 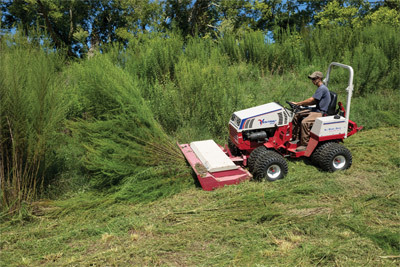 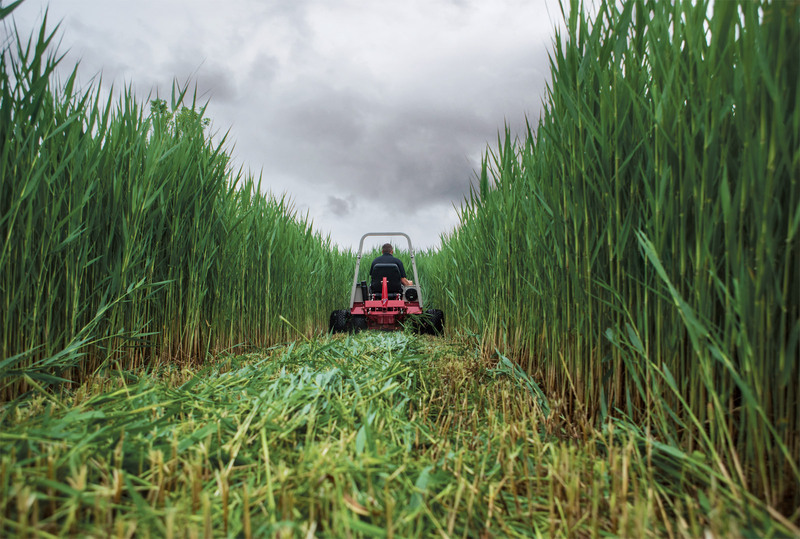 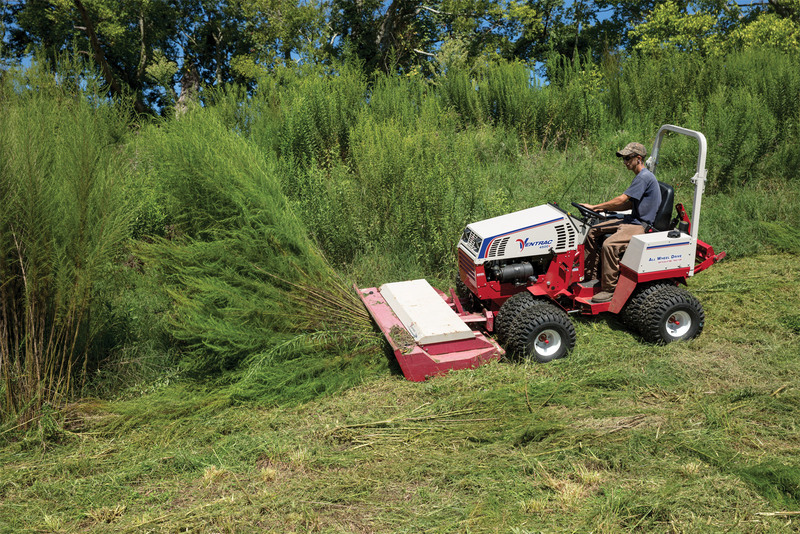 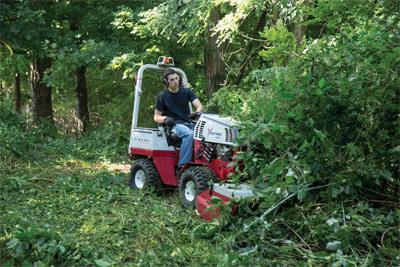 Enlarge Picture / Press Link · Ventrac 4500 Tackles Thicket with HQ680 - While most people would steer around such obstacles in budget tractors you can mow right through them with the Ventrac 4500 and Tough Cut Mower. 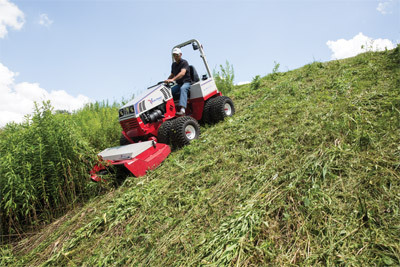 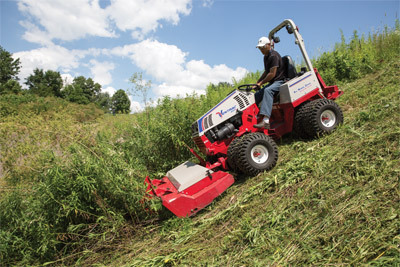 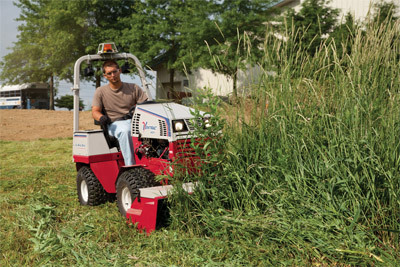 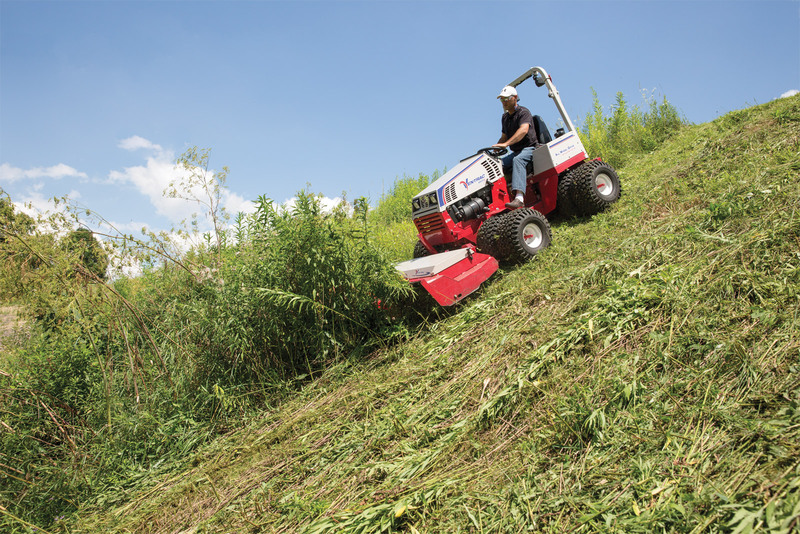 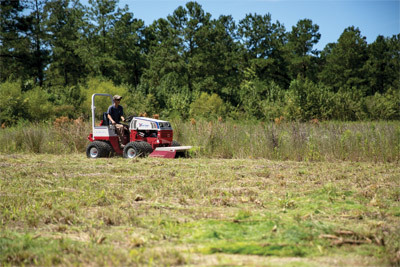 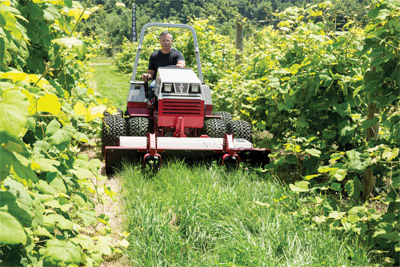 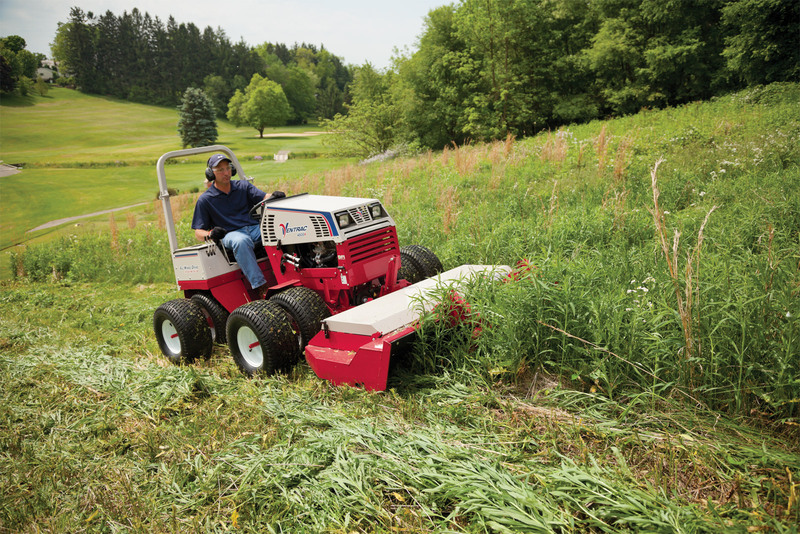 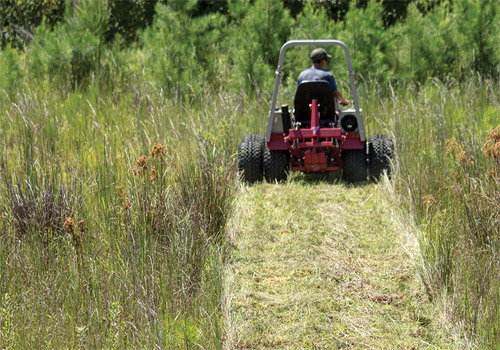 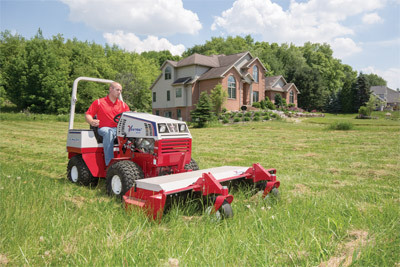 Enlarge Picture / Press Link · Ventrac 4500 & Tough Cut Clears the Way - The Ventrac 4500 is a literal trailblazer with the HQ680 Tough Cut mower, making a path where most conventional tractors can't. 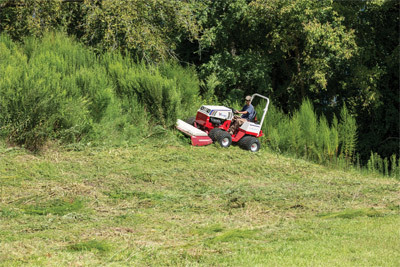 Enlarge Picture / Press Link · Ventrac 4500K using the HQ680 Tough Cut - The Tough Cut mower is able to mow thoroughly through both thick brush and clumps of dead grass. Enlarge Picture / Press Link · Ventrac 4500K Mowing - The Tough Cut mower can leave behind beautiful results despite its power and performance. 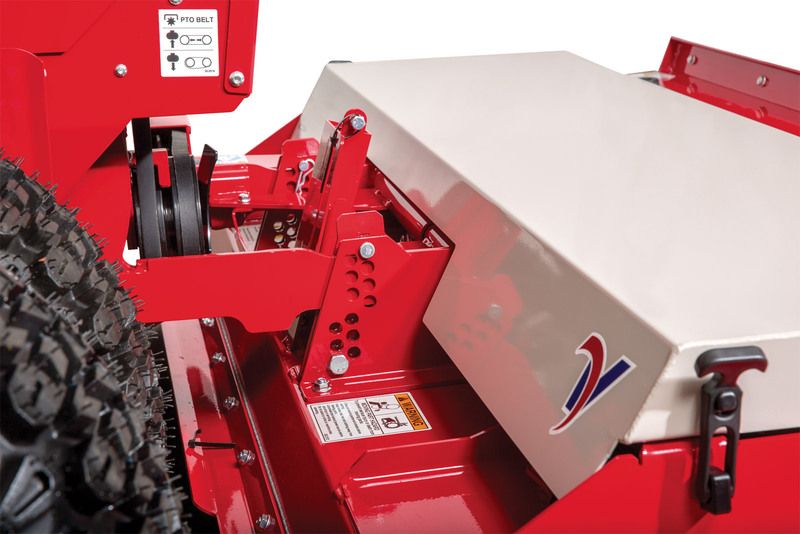 Enlarge Picture / Press Link · HQ680 Tough Cut Mower Closeup (Top) - The Tough Cut has an easy access cover to allow for belt maintenance and features several height adjustments.